You’d better keep a close eye on your child! Those who are sorted into Slytherin are often cunning, ambitious and resourceful. When those sorts of traits are focused into a productive direction, they can do some pretty great things in the world. Unfortunately, unchecked, those types of traits could see your young wizard turning into a dark wizard like Lord Voldemort. That’s why we think it’s imperative that you begin teaching your child the proper values now! Of course, you’ll want to teach them how to harness their magical skills, but you’ll also want to teach them how to NOT bully other kids (like Malfoy used to do) and you may want to teach him how to get along with muggle-born wizards (some Slytherin kids have problems playing nice with them). you’ll probably want to teach them how to NOT be a power-crazed evil wizard (like Tom Riddle). 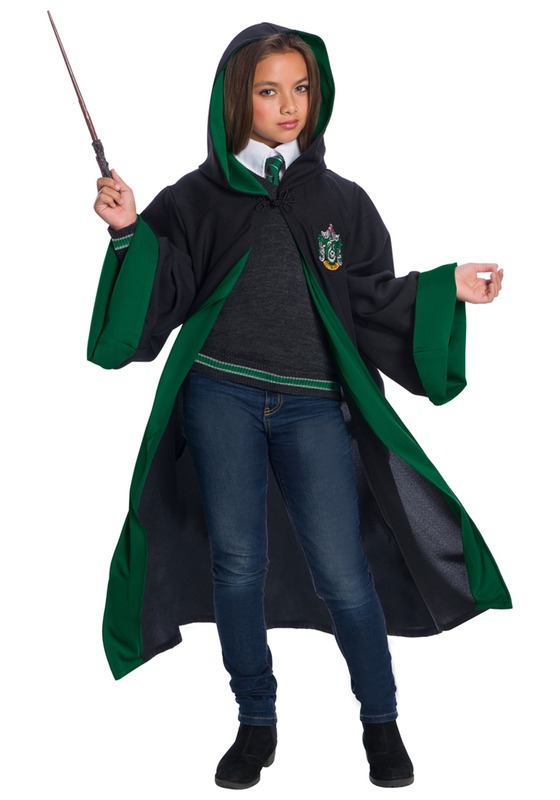 And when they attend their first lesson, you’ll want them to be wearing this Slytherin Student costume for kids. 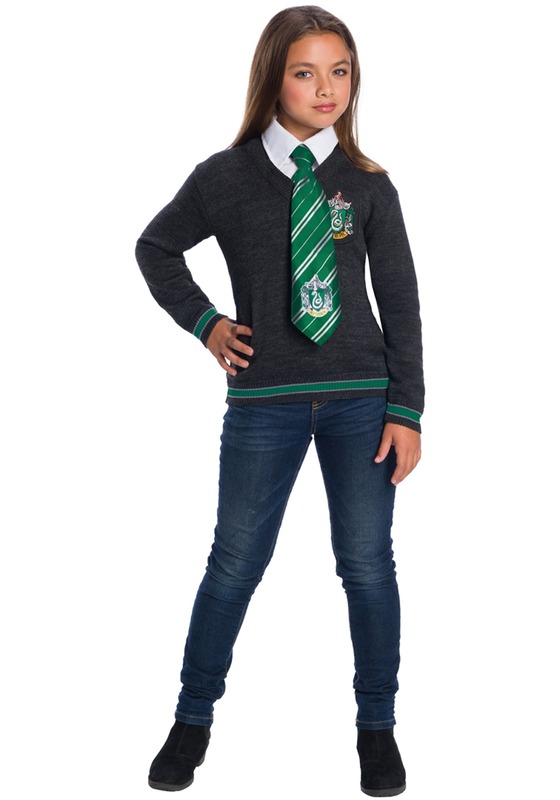 This child Slytherin student costume is an officially licensed costume from the Harry Potter movies. It perfectly recreates the outfit worn by many of the Slytherin House students. 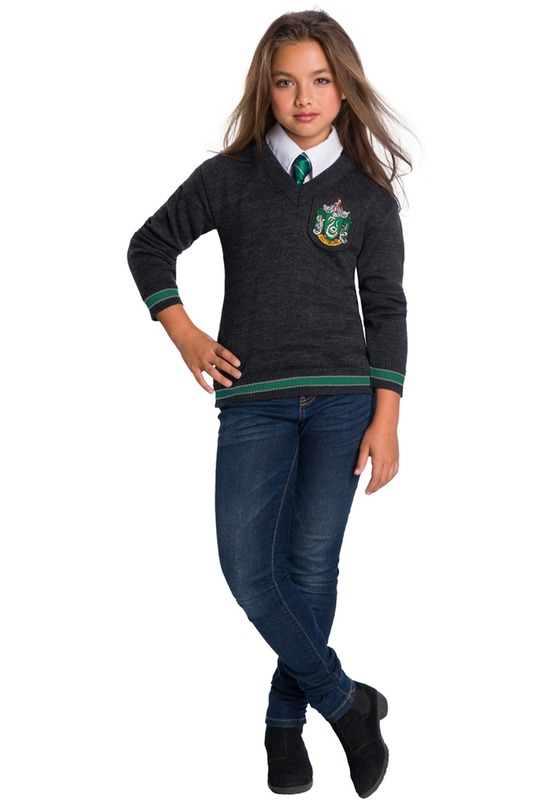 It comes with a sweater that has green stripes and the Slytherin House crest on the front. 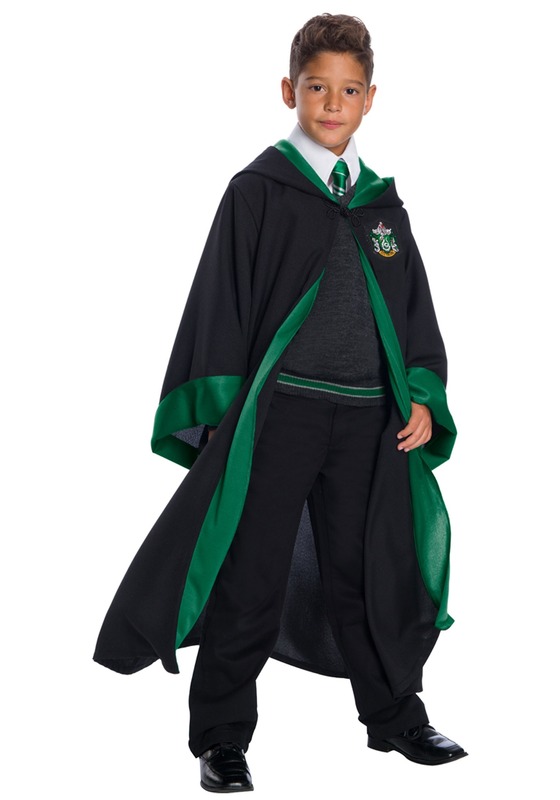 And since no wizard has a complete outfit with a robe, this costume set includes a black and green Hogwarts robe with the Slytherin emblem on the front. Once your child has it on, they’ll be his first lessons to get prepared for his first day at Hogwarts. You can teach your child all about Quidditch, Potions and the most important lesson… don’t be like Tom Riddle! If you want to take your child’s look to the next level, then just add a wand and he’ll be ready for class.